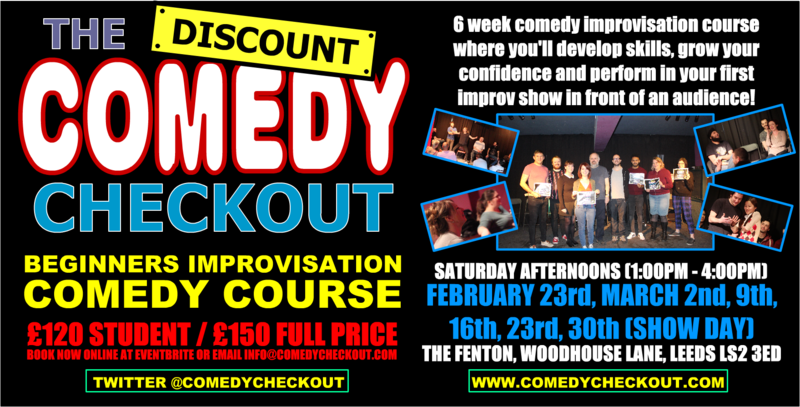 Running for 10 years the discount comedy checkout have become one of the biggest UK improv groups with constant shows throughout each year in a variety of venues. Now we bring our knowledge to you with our selection of courses. Taught by members of the troupe you will learn how to bring improvisation comedy to the stage and perform in your first show. About the Beginners Course : Perfect for total beginners or those with some experience, this course is ideal for a confidence boost and you'll be amazed at how quickly your skills will grow. All courses take place upstairs in our leeds based show room at The Fenton.